At 14.5 inches tall, Monster High™ Garden Ghouls™ Treesa Thornwillow™ doll really grows on you -- the tree girl doll becomes a tree monster play set! It's so easy to create a world of fun. Simply twist the knob in her back to see her torso grow and the bright green branches lift up. The trunk that covers her legs opens to expand the space or let her free. Remove her from the clips to walk the garden or keep her in place and spread the branches in her back to decorate and display. Treesa Thornwillow™ doll comes with six hooked garden icons, like a flower, bug or web, that can hang from spots within the doll's elaborate branches. Arrange and rearrange the colorful pieces to tell tales or create new displays. Build out the story and play set even more with other dolls from the line. 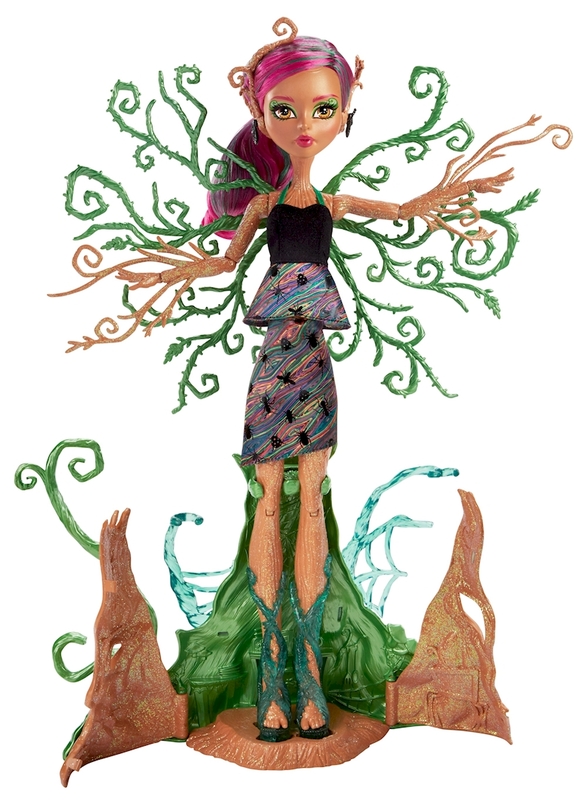 The Monster High™ Garden Ghouls™ winged critters dolls (sold separately) can also connect to hooks with Treesa Thornwillow™ doll's branches. The tree monster doll stands tall in a dress with black bodice and skirt with ruffles and colorful bug print. Green climbing shoes have leaf details. 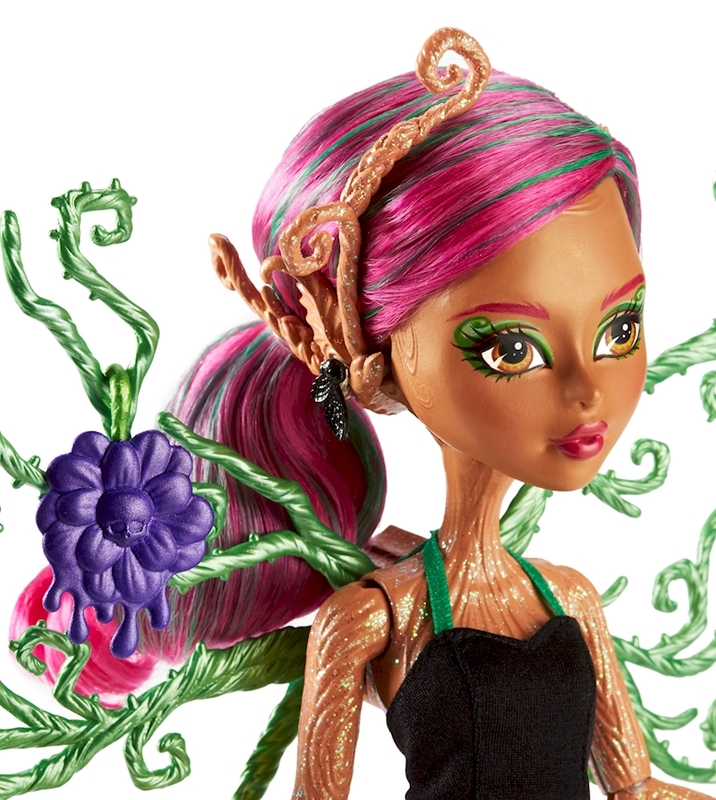 Monsterrific touches include her tree textured skin, sparkling branched ears and colorfully streaked hair. Young ghouls will love discovering what makes them uniquely fantastic along with the beast friends from Monster High™.